After school programs allow children the opportunity to engage in fulfilling and enriching activities that expand their education much further than just within the classroom walls. From art classes to homework tutoring, here are the best after school programs in New Mexico. Activities for children in grades Kindergarten through fifth include individual and group activities that supplement the school day lessons. A focus is on nurturing a child’s healthy social, physical and mental development. Children participate in interactive learning, receive homework assistance and have fun! From 3:30 to 6 p.m., the Club is full of young people aged five to 18. Programs focus on education, character development and healthy lifestyles. There’s the Power Hour which is all about homework help and tutoring. 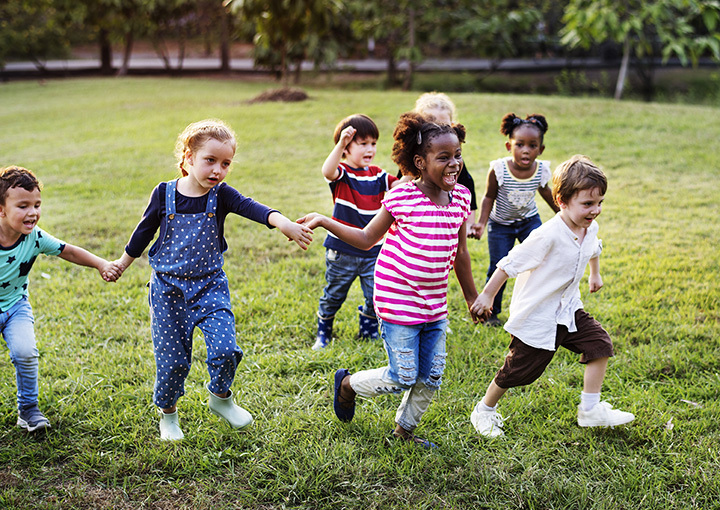 Lifestyle skills engage children about life long health, drug resistance and fitness. There’s a rec room, basketball court, crafts, performing arts and creative writing opportunities. This large gymnasium brings most people in for basketball, weight lifting, and cardio exercise. After school, however, it’s the place for young artists to find their medium at the arts and crafts program. For those struggling to find their muse, there’s also a game room with a pool table, fuzz ball and an area to unwind and hang out. All the after school programs here are educational in nature with names that make them sound incredibly fun. Project Guts for middle school students is designed to introduce computer programming. COUNT uses art to improve math skills. Readers Theatre, for K through six students, engages students about literature. All programs are fully funded so they’re free. LIFE means Life skills Imparted to Families through Education. The after school programs promote academic success, help reduce engagement in risky behaviors and empower young people, youth through age 13, to make positive choices. Programs use projects to teach team work and collaboration, building resilience in students. The out-of-school program here, CREATE, is a culture, recreation, education, art and technology experience. Highlights include a Tiwa language and culture club, supervised playground every day, team sports, tutoring and homework help, as well as a chess club, computer lab, video club plus a game area with pool table, foosball, air hockey, and bumper pool for all ages. A safe place for children to play, learn, grow and make friends is an environment where children thrive and that’s what’s been created here. Activities are a mix of child-directed, staff facilitated clubs, enrichment classes, field trips, presentations and special events—and snacks are always included. A quiet area for homework gives kids some space to get it done before heading home. Golf is more than just a game, it’s a way to teach life lessons and leadership skills. It’s done by coaches who help young people, ages three to 18, build confidence, develop respect for each other, as well as the community, and who inspire young people to discover their potential in golf and in life. First Tee partners with schools and youth organizations to implement its curriculum. Young people can unlock their inner creativity and in the process learn the ins-and-outs of painting, sculpting and drawing. Small classes headed by professional artists create a learning environment for all levels of artistic ability. Arts supplies and a snack come with every class registration. Register online or by phone. Who is Georgia O’Keefe? Young people taking art classes here learn the answer to that question, as well as basic art concepts that help children think creatively, build confidence, problem solve and increase their ability to focus. Sewing, printmaking, painting and weaving classes teach these skills and more. Art mediums run the gamut from charcoal to clay. Classes are grouped by age, five to 10 and 10 to 16 year-olds meet on different days.